The history of St. John’s is actually a history of two churches — St. John’s and Central Lutheran. The merger of the two congregations in 1969 strengthened the witness of both to the Gospel and to the unity of the Church. Organizing Lutherans into a congregation in Phoenixville was quite a challenge. In 1859, Rev. Rees from Manayunk attempted to start an Evangelical Lutheran Church in Phoenixville. He preached four times, and then further efforts were dropped. Three years later, in 1862, attempts were made by the Rev. William Weaver, pastor of Zion Church in East Pikeland, and the Rev. George Sill of Augustus Church in Trappe to form a congregation. The Civil War intervened, and the small congregation disbanded. After the war the Rev. Henry S. Miller, pastor of Zion Church, East Pikeland and St. Peter’s Church, West Pikeland, gathered together the members who remained and tried again. The third time was successful, and the new congregation was received into the Evangelical Lutheran Ministerium of Pennsylvania. 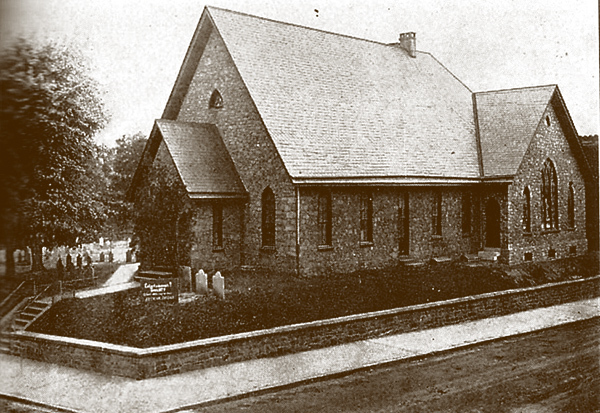 During these early years the congregation worshiped in a variety of settings: the Mennonite Meetinghouse, (later Central Lutheran and now the Phoenixville Historical Society), the Reformed Church, the basement of the Presbyterian Church, the Temperance Hall and the meeting room of the town council. In 1872, after eight years of sharing space, the congregation resolved that in full reliance upon God, a beginning be made to build a church. With one thousand dollars raised by Eliza Miller, wife of Rev. Miller, a site was purchased on Church Street between Jackson and Starr Streets. On August 25, 1872, ground was broken for the new church. Before the building was even completed, a Sunday school was organized in April 1873. For the next 34 years, there were two Sunday schools, giving the option of a Christian education in German or English. Mrs. Goettlief Lindauer supervised the first German school and Mr. John Rhoades, the first English. In 1907, the Sunday Schools merged into one English-speaking school. The first building cost $3,687.65 and was dedicated debt-free on July 20, 1873. The Rev. Henry S. Miller served as pastor until February 7, 1875. He was followed by the Rev. F. C. C. Kaehler, who served until 1882. During these years, a parsonage was purchased. 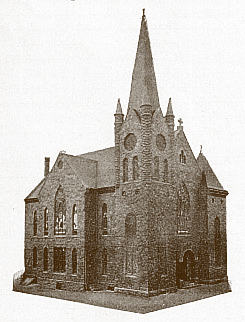 From August 1882 to April 1893, the congregation was served by three pastors — H. Gerhart, Solomon E. Strumpp and Carl L. Wolters. Growth was slow but steady. In 1877, St. John’s had approximately 80 confirmed members. By 1893, there were about 100 confirmed members. On June 1, 1893, the Rev. Nevin E. Miller began his 50-year ministry at St. John’s. Under Pastor Miller’s leadership, the congregation flourished and soon outgrew the church building. In May 1896, ground was broken for a new church building at the corner of Church and Jackson Streets. On June 20, 1897, the $35,000 building was consecrated. One beautiful feature of this new church was the stained glass windows depicting Biblical scenes from the paintings of the masters. These windows can be seen in the present building, lining the hall leading from the narthex to the church office. During the early 1900s, English gradually became the predominant language in the congregation. While the change to English was often a point of conflict for congregations, at St. John’s the steady and strong leadership of Pastor Miller enabled the congregation to continue its growth. The Rev. Charles D. Moser served as pastor from 1944 to 1951, during which time the congregation continued to grow. A highlight of his ministry was the construction of a new parsonage at the corner of Gay and Griffen Streets. The Rev. Frederick W. Moock, Jr. served at St. John’s from 1952 to 1954. Improvements were made to the physical property of the church, and the membership continued its upward climb. The Rev. Robert M. Lamparter began his ministry on June 1, 1954. The congregation continued to grow, and soon it became apparent that the building was no longer adequate. In January 1956, a vote was taken to seek out a site to relocate and build for the future. The A. W. Kley farm was purchased, and the current building was completed in 1962. The design by Philadelphia architects William Heyl Thompson, A. I. A., and Lawrence Drake, A. I. A., combined modern elements with Pennsylvania Dutch tradition. The design won the 1962 Silver Medal for Outstanding Design from the Pennsylvania Society of Architects. The building was dedicated in a wonderful service of celebration that included leaders from all over the National Church on May 6, 1962. Pastor Lamparter continued to serve at St. John’s until 1967, when he resigned to accept a call as Senior Pastor of Emmanuel Lutheran Church in Souderton. The Rev. William A. Davis began his almost twenty-year ministry at St. John’s on February 18, 1968. During his pastorate, a number of significant events took place. The merger with Central Lutheran in 1969 joined all the Lutherans in Phoenixville together into one congregation. The addition to Kley Hall and downstairs classrooms enabled the Sunday church school to continue its growth. Now to turn to Central Lutheran Church. Central Lutheran Church was formed in 1875 when a newly-organized Lutheran congregation took over the Mennonite Meetinghouse at the corner of Main and Church Streets. The site has a rich history. First given to the Mennonites in 1794 by Jacob Buckwalter, this area is presently occupied by the Historical Society of the Phoenixville Area. Churches formed from this site were the First Baptist, First Presbyterian, the Evangelical United Brethren, St. John’s Lutheran and the Reformed Church. The roots of ecumenism in Phoenixville were nourished by the graceful hospitality of the Mennonites. The Society of Mennonites built a simple, plain church in 1794. Twelve pastors served its congregation from its founding until the congregation disbanded in 1875. The Rev. Matthias Pennypacker was its first pastor. The parents of Pennsylvania Governor Samuel Pennypacker and forbears of Supreme Court Justice Owen J. Roberts were buried there at one time. By 1872, the membership of the Mennonite Society had fallen off dramatically. In an attempt to revive interest, the present church was built using Chester County fieldstone. The new structure was completed in 1873, but unfortunately the revived interest was of short duration. In 1873, the trustees of the Mennonite Society gave permission to the Lutherans to worship in the church building on alternate Sundays. When the property was finally transferred to the trustees of the Lutheran Church, there were 11 charter members. On Christmas Day, 1875, the trustees met to form the first council. From 1930 to 1948, Central Lutheran experienced a series of relatively short pastorates. The Rev. Jerome Michael Guss, D.D. served from May 1930 until his death in March 1933. He was followed by the Rev. Warren Carl Johnson, who served just a little over one year. The Rev. Robert D. Hershey served from March 1935 until September of 1938, and the Rev. Charles F. Trunk, Jr. served from May 1939 until March 1943. During this time the membership held stable. Beginning in June 1943, the Rev. Samuel L. Koons started his pastorate and served 12 years. Under his enthusiastic leadership, the congregation doubled in size, added a new Christian education annex to the building and served the community. He was also a noted artist and civic leader. The Rev. Ralph F. Eberle, Jr. began serving Central Lutheran on July 19, 1955, and remained until December 1, 1958. He was followed by the Rev. John Dzirnis, who served from August 1959 until January 1967. A highlight of these years was the ordination of a son of the congregation, Lawrence A. Miller, Jr., who was commissioned to the field of foreign mission. The final pastor to serve at Central Lutheran was the Rev. Leon Zinkler. The Sunday school was an important part of this congregation and actually predated the formation of the church. It began as part of the Union Sunday School and in 1875 listed 50 members on its rolls. The first superintendent was William Caveny. He was followed by Robert Raby, John Gotwals and Harvey Carter. The fifth superintendent, Samuel Buckwalter, served 45 years until James Seacrist took over the duties in 1942. The Sunday school program included a Christian Endeavor Society for youth, founded in 1890. It was succeeded by Luther League in 1933. Christian education was a hallmark of the ministry of Central Lutheran Church. The congregation deeply appreciated fine choir music. During the 1950s, a number of remarkable concerts were hosted for the community. They included a 70th Anniversary Celebration concert with three choirs, a brass quartet and the Lansdale Symphony Orchestra. Central Lutheran was known for its love of presenting historical pageants. It was a congregation constantly seeking to present the Gospel of Jesus Christ to its community, even broadcasting on the radio in 1954. By the 1960s, however, the congregation had dwindled in size and resources. After much prayer and deliberation, Central voted to merge with St. John’s. It was a very challenging time for all involved. There were many questions for the people of Central. How do we worship God in this new place? How do we serve God now? There were new names to learn, new traditions, new patterns of organization, new histories. And there were similar questions for the people of St. John’s. Let’s explore how these two groups of Christians with different traditions and histories become ONE church of Jesus Christ. 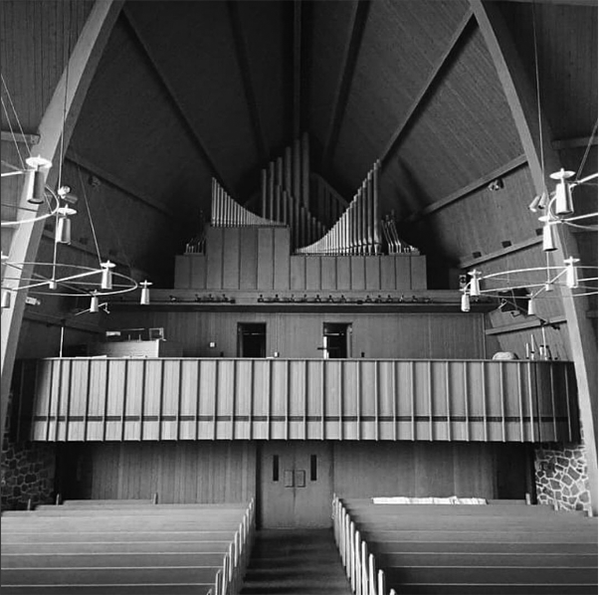 January 1969 brought many challenges and opportunities to the Lutherans of Phoenixville. For the first time since 1873, they were together as one congregation. The original reasons for separation–difference over language and synodical allegiances–were no longer issues. Now the challenge was how to become one congregation with a united vision for serving the Lord. The congregations went from two pastors to one, the Rev. William Davis; from two church councils to one; from two choirs to one; from two Sunday schools to one. Needless to say, everyone was called to be flexible and consider the well-being of the whole ministry of the Church. Thankfully, just as there were many issues, there were also many gifts in which to rejoice. St. John’s had a new building with plenty of room for children and young families. Central had a rich heritage of music, education and community service. Funds from the sale of Central’s building to the Phoenixville Historical Society also gave the merged congregation a substantial endowment dedicated to outreach. The new St. John’s has been able to care for many in need through these funds. During this time, the congregation was blessed by the leadership of three assistant pastors: the Rev. William deHeyman, the Rev. Wanda Snyder, and the Rev. Joan Ewaldsen. With the retirement of Pastor Davis in 1987, the Rev. Frederick Auman came to St. John’s to serve as the Interim Pastor. He was subsequently called to become the Senior Pastor in June of 1988 and faithfully served until his retirement in June 1995. The Rev. Arlene Greenwald served as our Assistant Pastor from May 1994 until June 1996, when she joined the cadre of interim pastors in our synod who assist congregations during times of transition. The Rev. Dr. Cynthia Krommes, the present Lead Pastor, began her ministry at St. John in June 1996. The Rev. Kenneth Ensminger joined the staff six months later as Visitation Pastor and served for 14 years, retiring in December 2010. In 1997, the congregation renewed its committment to global mission and ministry through the adoption of a missionary family, Dr. Mark and Linda Jacobson, who serve at Selian Lutheran Hospital and Arusha Lutheran Medical Centre in Tanzania. 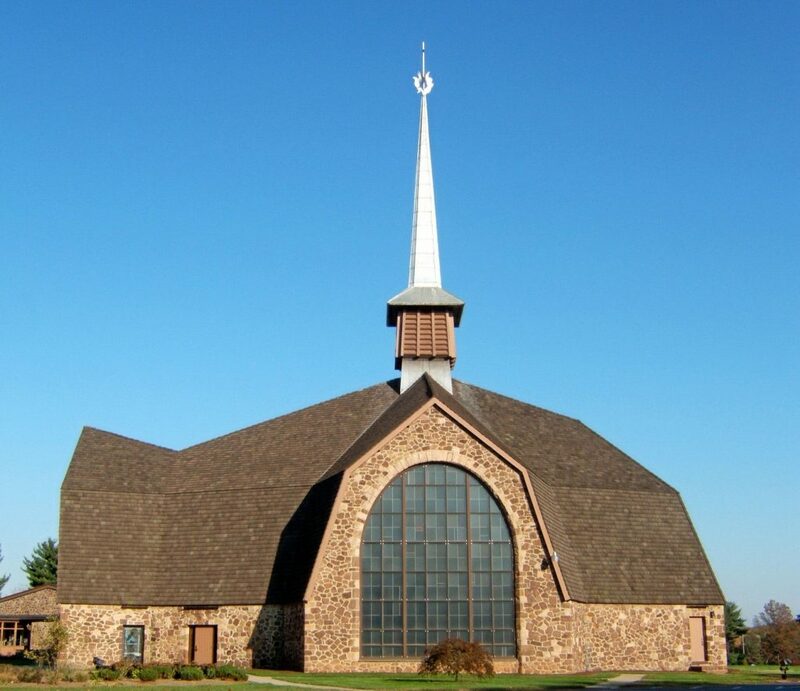 In October 1999, the congregation added Evening Light, providing a third opportunity to worship each weekend. In June 2001, the Rev. Christian McMullan began his ministry as our Associate Pastor. He remained until August 2007, when he left to earn a doctoral degree to prepare for teaching on the college and seminary level. In September 2009, the Rev. Thomas Kochenderfer joined the staff after retiring from St. Andrews Lutheran Church in Audubon to serve as Pastoral Associate. Dana Deichmann served as St. John’s Parish Educator for eleven years, from 2003 to 2014, bringing great creativity and contagious energy to our ministry. In March of 2015, Pastor Skyle Rea was called to serve as our Pastor for Youth and Family Ministry to lead and guide our expanding ministry with children, teens and their parents. This history is filled with the name of many pastors who faithfully served our Lord at St. John’s. Their leadership only tells part of the story. There have been thousands of saints, members of Central Lutheran and St. John’s, who carried out the ministry of the congregation. They taught Sunday school, sang in the choir, provided leadership, served in the community, raised their children in the faith, planted gardens, folded bulletins, organized work crews, planned mission trips, and invited friends to worship. Their stories are the real stories of the congregation. You too are invited to make history at St. John’s. Together let us live, grow and share in God’s love through Jesus Christ our Lord!